BRYAN EATON/Staff Photo. 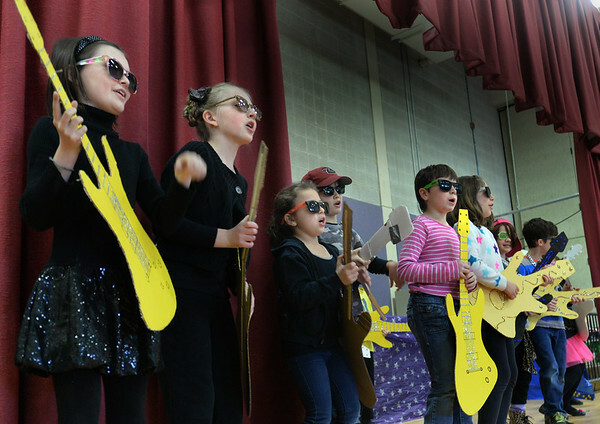 Youngsters at the Cashman School in Amesbury perform "Meteor Shower" to the school body on Wednesday morning. They were presenting the play "Spaced Out" which is about the solar system which they've been studying.